You are here: Home / News / News / REOMAC Dinner Meeting Coming to Chicago – August 21st! REOMAC Dinner Meeting Coming to Chicago – August 21st! Don’t miss the next chance to rub shoulders with your colleagues and clients in a compact environment! 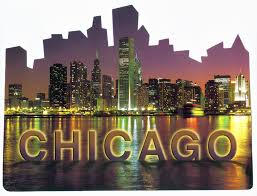 REOMAC stops in the Midwest to deliver critical industry news to Chicago-land. The CRES travel team will be there! National, regional and local REO and non-performing real estate loan trends reflect a mixed recovery. While overall REO volumes have decreased, Chicago-area banks have more non-performing assets on their books than any other metropolitan market in the country. Where have we been, where are we now and where are we headed? Our expert panel will highlight key trends within the U.S. banking markets and what to expect with REO volumes in the Chicago market and surrounding areas.